Anna Kathryn Lanier started writing while still in high school. Her first novel was a futuristic Armageddon tale with romantic elements. She wrote her first romances in her early twenties, but her only submission was rejected. After putting her writing on hold for nearly two decades to raise two daughters and play housewife, Anna Kathryn picked up the pen again, so to speak—this is the computer age—seven years ago. She has completed three romance novels to date. She also enjoys writing short stories. Her first short story, Happily Ever After was published in 2005. She has since published five more short stories. 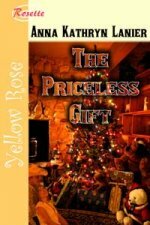 The Priceless Gift, a contemporary western, was released in November, 2007, is a #1 best seller at The Wild Rose Press. A Cowboy’s Dream, is also contemporary western, (Nov. 2008) and is a mega rewrite of Happily Ever After. 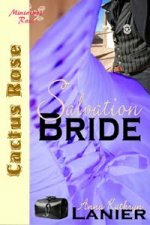 Salvation Bride, a historical western is the Preditors and Editors Reader’s Poll 2009 Best Short Romance Story. Gift Beyond All Measure (Dec. 2010) is a sequel to The Priceless Gift. Anna Kathryn lives in Texas with her husband and three cats. She has two grown daughters and three grandchildren. She is pursuing a bachelor degree in history at a local college. Visit Anna at her website or blog. (I stopped by the latter. Can’t wait to try the Italian Vegetable Soup recipe she posted yesterday. Sounds like exactly what one needs on an east coast snowy day :).) Her stories may be purchased at The Wild Rose Press. The other day someone posted a question about ‘cloud’ storage sites. I didn’t know what ‘cloud’ meant, but I understood her question: what can you tell me about the online computer backup sites? Later that day, I came across a post on AOL Discover about that very subject. It spawned the idea about the importance of saving data and the different types available for doing that. Even if you’re not an author, you should have a need to back up your computer files. I know that in addition to my stories, I have photographs on my computer that I don’t want to lose. And I have lost them. In November 2008 my computer crashed. The hard drive didn’t self-destruct, as those tapes on the old Mission Impossible shows did. I still have the hard drive, but it’s sitting on a shelf. I’m not sure how to retrieve the information. I had a new hard drive installed, which crashed three months later. That one did self-destruct, so I lost everything I had done between November and January. Yes, the first crash should have taught me a lesson. The second definitely did. I looked into an online storage company. Before I get into cloud computing though, I’d like to discuss the other types of back up systems available. The one most are probably familiar with is a thumb, flash or jump drive. According to the website Everything USB “A flash drive is a small external storage device that reads and writes to flash memory, a solid-state storage medium that’s both inexpensive and durable.” Its small size, “portable nature and near-universal compatibility” has allowed it to replace the floppy diskette as a way to store and transfer files from one computer to another. There are drawbacks to using a jump drive (as I call them) as your only source of backing up files. One, their compact size makes it easy to lose them. Two, if they are broken, your files are lost. I don’t think I’ve lost a drive, but I have had two break. One was completely destroyed when I left it in a computer at work and someone slammed a chair into it. It broke into several pieces. There was no way of fixing it. So, it’s a good idea to take good care of your flash drive if it’s your only source for backing up files. Another at-home back up source is an external hard drive. The Wise Geek website explains, “An external hard drive sits outside the main computer tower in its own enclosure…This portable encasement allows the user to store information on a hard drive that is not inside the computer.” It goes on to explain the advantages of having an external hard drive. It allows the user to back up important files which could be comprised by Trojan horses, viruses and spyware that a computer’s internal hard drive is exposed to on a daily basis via the Internet. In addition to keeping files safe from online threats, an external hard drive will also free up space on a computer’s internal hard drive. You can keep “large music files, DVD images, movies, disk images and” even backup of your computer’s internal hard drive onto it. And like a jump drive, you can move an external hard drive from computer to computer with relative ease. Also, like a jump drive, an external hard drive can be lost, stolen or destroyed, though I think it would be harder to destroy a hard drive than a jump drive. So, all this brings us to cloud services (cloud refers to the Internet). IDC, a global market intelligence firm, defines cloud services as “consumer and business products, services and solutions delivered and consumed in real-time over the Internet.” In other words, it is a business that offers computer users goods or services that are offered over the Internet in actual, current time. This is what happens with the Mozy account I have: I signed up for it. At first I got the free service, but later I bought a level so I could back up more information (mainly, my photos, which were too large for the free service). Mozy then started backing up my files. This can take, literally, days or weeks, depending on the number of files. Just keep the computer hooked up to the internet. You don’t have to have your internet browser on during this time. Then, twice a day (about 12 hours apart), as long as I’m hooked up to the internet, Mozy swoops in and backs up any new file I’ve created since the last back up. That’s it. That’s all I need to do. So far, I haven’t needed to use their ‘recovery’ service at home. I did use it once at work. I couldn’t find a file, so I did a ‘search’ on the computer for it. The search program found it in Mozy’s back up. Why it wasn’t on my computer, I don’t know. I do believe the work computer has Gremlins though. The cost for Mozy is nominal. I recently added my brand new lap top (that first back up took about 10 minutes) to the account and paid an additional fee. I think the total for the two computers is now about $15 a month. Not a high fee for peace of mind. So, when my second, defective hard drive crashed, I lost a few chapters on a book. On my old, obsolete, floppy diskette computer (circa 1985), I have two completed manuscripts. Okay, they are crap, and could, in no way be published, but I can’t transfer them to another computer and are basically lost to me. What have you lost in a missing jump drive or crashed computer? What do you have on your computer now that you’d hate to lose? Leave a comment and you’ll be eligible to win a copy of my newest novel A GIFT BEYOND ALL MEASURE and its companion cookbook. Thanks for having me today, Joanna. That’s it for today, folks. Snow day or not, it’s a busy week in the bloglight. Tune in tomorrow when romance author Linda Morris stops in and shares about her journey. Until then, I’ll occupy myself thinking about the NFL playoffs and the upcoming Australian Open Tennis Championships. Have a great day! ← Off with the New Year! I use all three–a flash/jump drive, an external hard drive, and Mozy. I’ve had to use Mozy once when my old laptop gave up the ghost. Fortunately, all the files were replaced on the new one by Mozy! Thanks, for having me, Joanna. Since I sent this to you, I’ve had some ‘incidents’ concerning backing up. I’ll talk about one now. As I said, I have mozy.com as my ‘cloud’ back up. On Sunday, I realized that mozy wasn’t backing up my files, that it hadn’t for 2-3 days. So, I searched their website for information and finally found a ‘live chat’ link. I had to wait about 15 minutes for an agent to be available. Once the agent was online, I told him what was going on and he gave me a menu of places to go on my computer to look up programs and make sure they were set to ‘automatic.’ About half of them were not. Once I set them to automatic, I had to turn mozy on (because it was off for some reason). Since then, it’s been backing up as scheduled. This was my first interaction with the mozy tech team and it was very pleasant. So, just wanted to pass this on. My next comment will come later today, after I’ve had some sleep, lol. But be warned….it’s scary! Plus, I’m having lunch with my mom on Thursday, so won’t be online a lot. It may be after lunch that I post the scary post. We’re here, Anna and thanks for sharing that. I’m definitely going to look into this a little more; I’ve come close to learning my lesson the hard way and continue to tempt fate myself. Get some rest and see you later! Thanks alot for the the informatiion.I have tried using serveral backup softwares and they all seem to work fine but i came across one that captured my interest alot and it is what am currently using.It is called Safecopy online backup. Absolutely a wonderful and informational post. Great topic and thanks for the resources. Just what I’d been looking for! Great topic for the New Year! Tech-education is usually on my top 5 for annual goals. I have flashdrives and I have a ‘Click-Free’ C2, 500GB external harddrive. I plug the compact drive into the front USB port, click on the icon whenever the mood strikes to save, photos to poems, and all is safe for the day like having an IT super-hero with photographic memory powers. Thanks for sharing the options to save our work and our sanity! Okay, here’s the scary post: A writer friend posted on the chapter loop that when she opened her 70,000 word novel she was editing (set for release in a few months), all she had was a few pages of goobly goob. It took a few “OMG!” emails back and forth across the chapter loop to understand what happened. She’d saved it on her flash drive, then when she opened the file the next morning it was corrupted. Luckily, another chapter mate and her husband were able to at least get the file back into English, with a few thousand symbols added. Mixed in the mess was the story. The author is now extracted it. No one is sure exactly what corrupted the file. But here’s a tip if you don’t know it: ALWAYS ‘SAFELY REMOVE DRIVE.’ This means to disconnect the jump drive from the computer before yanking it out. When the drive is plugged into the computer, there should be an icon you click to do this. Not doing so can damage the jump drive and/or the files stored in it. Also out of this discussion on the loop came the suggestion that one doesn’t just ‘save’ a file. That if you’ve done changes to a manuscript, you should ‘save as’ and change the title of the file somewhat…the date/time or “Love Story revision 23,” something like that. Also, when you’re done for the day, consider the different places you can save it – email it to yourself, on the jump drive, on the external hard drive, tell Mozy to do an update then. Do as many things as you can to try to keep from losing the file. As the author of the terrifying ordeal you just mentioned, I have to add something. As writers, so many of us don’t know a lot about computers, just that we can’t live without them. After the suggestions about saving and back up plans, I now have developed an OCD. I will NOT be seeking help to cure this new condition, in fact, I am struggling hard to keep it. I also stop after a couple hours of writing, (since I have been known to write as much as 5,000 words a day when my muse’s mojo is pumping) and I so a ‘save as’ version to my MS and save it in a backup file on my hard drive, my flashdrive and dropbox. I will be looking into other back up places you mentioned. One can never be too safe when it comes to our life’s work. Thank you for your helpful suggestions. They have NOT fallen on deaf ears!! Guess my job tonight and tomorrow is backing up my virtual babies. Hi, Robin. I wasn’t going to name names, but thanks for putting a name to the horror story! As I said in the article, I have lost material, too, in particular, the two full-lenth novels (both over 110,000) words I wrote when I got back into writing 7 years ago. They are lost mainy because they’re on an obsolete computer. And they aren’t totally lost. I do have them printed out….which by the way, is another good method of saving your story and one I’ve heard some people use…when they are done for the day, they print what they’ve done for the day, so they have a hard copy of it. An FYI on having the hard copy: I have a very basic all-in-one HP printer. When I scan typed documents, it gives me the option of saving the file as a Word doc, which I can manipulate the same way I can any Word document. A very handy little tool. Thanks for the information. I learned the hard way to back up my things, because my computer crashed and I lost almost everything. But even though I have an external back up thing that simply plugs in, I have rarely used it. I had another reminder to use it again though. I had a novel on my daughters computer. We shared computers before I got this last one for my work. She never deletes things, but this time she did. and then she emptied the wastebasket. I lost several novels because she thought she was deleting somenthing that I didn’t need or she thought it was something else. BACK up those files. Now there’s a scary thought, Gail. Reminds me of a report I started when my older son was about two and just tall enough to reach the keyboard. (I didn’t get that then.) I was proud to have gotten a jump start on it and was 45 minutes into it when I got called away from the computer. Long story short, it was nowhere on the screen and I had no idea what Ctrl+Z was. I now background save constantly. Gail, you won the drwaing for a copy of A GIFT BEYOND ALL MEASURE and its companion cookbook. Email me at annaklanier@aol.com so I can get them to you (ebooks, so via email).